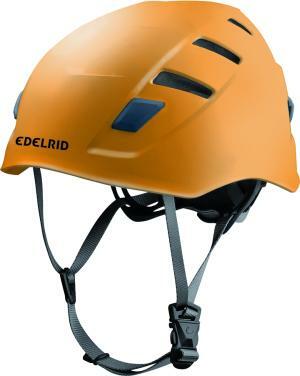 Edelrid Zodiac Helmet: A hard-shell helmet with integral expanded foam lining. A hard-shell helmet with integral expanded foam lining. 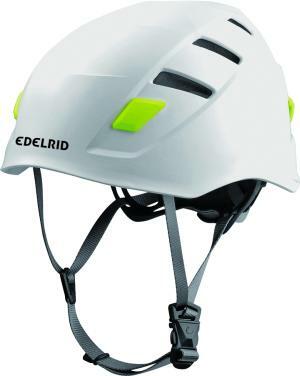 It has Edelrid's "Wing-Fit" adjustment system which is centered around a moulded plate that forms around the rear of the head below the helmet line. This effectively cups the lower skull to create a very secure fit. Hard-shell with foam liner construction. Chin strap position adjusts forward or backward.